To build on the success of the Autograph and create the much-awaited second generation, Bailey went back to basics and interrogated every single detail. The result is a motorhome that surpasses the original to appeal to new and existing customers. 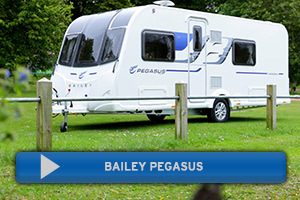 Bailey are predicting this to be their best and most popular motorhome yet, and looking at the enhanced specifications it’s easy to see why. The new Bailey Autograph is the result of one of the most comprehensive and rigorous design reviews of its kind – with 28 people working a total of 13,500 man hours and generating 126,000 3-D CAD files. By fine-tuning every single detail, the Bailey team are unveiling the next generation of motorhome that’s designed to make travel and holidaying a pleasure. Many thought it was impossible to improve on the practicality and comfort of the original Autograph range, but by rethinking every single element Bailey designers have enhanced the specifications to deliver their best ever motorhome yet. Style and practicality have been at the forefront of the designers’ minds, but one final key factor was price. Bailey have earned a reputation for delivering excellent value for money, and Autograph will continue in this vein. Whether you’re an experienced motorhome user or just starting on the journey, the more luxurious, stylish and better equipped Autograph is available for considerably less than you might think.